Blood, Soil and the True Price of Oil – Royal Times of Nigeria. The global oil industry is in large part responsible for environmental pollution and climate change. This spells trouble for Nigeria, as the oil and gas sector accounts for about thirty-five percent of total GDP and over ninety percent of total exports revenue. Because Nigeria is so dependent on oil, our economy largely relies on and promotes the degradation of our environment. As environmental activist Vandana Shiva stated, nature shrinks as capital grows. The once vast tropical wetlands of the south have slowly been ravaged by oil production, leaving poisoned waters and destroyed vegetation in their place. Foreign exploitation also plays a role in the ongoing environmental crisis in the South. The excessive involvement of companies including Shell and Chevron in the Niger Delta results in an almost neo-colonial exploitation of Southern resources for foreign gains. The hypocritical irony of this is that the very countries which benefit from exploiting and damaging the Nigerian environment claim to be fighting climate change in the global sphere. The Nigerian government also fails to take sufficient responsibility for this environmental degradation. A 1986 NNPC report stated that there has been no effort on the part of the government to control the environmental problems associated with the oil industry. Over thirty years later, this unfortunately remains partly true. Although the Nigerian government has made significant efforts, the crisis prevails. Institutions such as the Niger Delta Development Commission and an Amnesty program have been created in the past few decades to address the issue. However, these concerted efforts have failed due to corruption and inconsistency in implementation. There is therefore a need to address corruption in Nigerian governance and government in order to tackle the aforementioned crises. The government has a twofold responsibility of tackling corruption and environmental damage if it hopes to end the crisis. 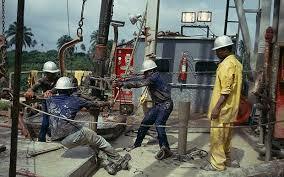 Cleaning up the oil industry will improve the environment in the South of Nigeria and also secure peace in that region. Crude oil pipeline vandalism, a key feature of the Niger Delta conflict, is motivated by environmental degradation and poor management. Fellow Nigerians, it is time to clean up our act. We must end the environmental menace that is the Nigerian oil industry or otherwise remain doomed to pay the price in blood and soil. May God bless our country Nigeria. FunmilayoAdetokunbo A-A, a political and International Affairs Analyst, writes from Somerset, England, United Kingdom.